The customized luxury travel packages we put together at Southern Travel Agency, the travel agency near you, fulfill bucket-list dreams, whisking away our clients to exotic, awe-inspiring destinations. Plus, our luxury local and online travel advisors take care of the planning process from A to Z, booking everything from your flights to resort or hotel stays, tours, and even dinner reservations. Our philosophy? Peace of mind is the ultimate luxury. We find out what your needs are. Then create custom luxury travel packages around them. Spin the globe and take your pick of the world’s most beautiful seaside destinations — from the stunning powder sand beaches of St. Lucia to the vibrant turquoise waters of Tahiti. Watch the sun set beneath the horizon — with your favorite tropical drink in hand! — as a world-class staff takes care of all your desires at these luxury all inclusive resorts. Whether you’re planning a family reunion, a resort vacation with a few of your favorite couples, or a generous getaway for your kids and grandkids, a luxury group trip can be so rewarding. But … they can also be a logistical nightmare to plan! Give Southern Travel Agency the reins and watch yours come together with ease. Our luxury family vacations really do span the globe. From a grand tour of the great capitals of Europe over an awe-inspiring Safari through the African bush to a stay at the family friendly all inclusive Turks and Caicos Beaches resort, our custom family travel itineraries are what travel dreams are made of. 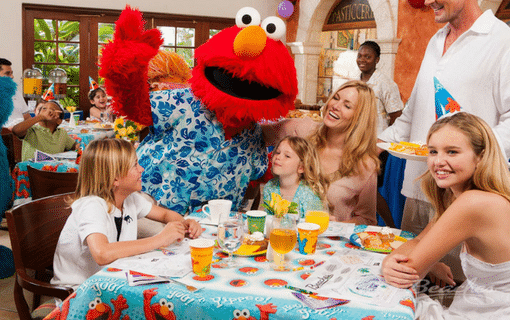 If you’re ready for a magical family getaway of your own, just get in touch. Leave the kids at home for your all inclusive vacations for adults only! When you vacation at an all inclusive, adults only luxury resort, every detail was designed with your special needs in mind. Over-water bungalows, swim up bars, global-inspired cuisine, top-shelf drinks, and rousing nightlife, a dream vacation you’ll never forget! Happily ever after starts here! Every couple deserves the wedding of their dreams. All inclusive destination weddings take the stress out of wedding planning. When you work with us, we’ll take care of all the travel arrangements for you and your wedding guests. It couldn’t be easier — or more magical! Do you image your start to life together in an exotic, far-flung locale? 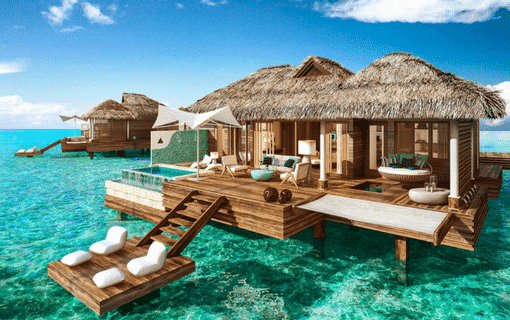 Escape to all inclusive honeymoon dream locations! We know the most romantic destinations in every corner of the globe, perfect for honeymooners who truly want to quench their wanderlust. Sail away in style on an all inclusive luxury cruise! Want to sunbathe on board while you island hop the Caribbean on a luxury small cruise ship? 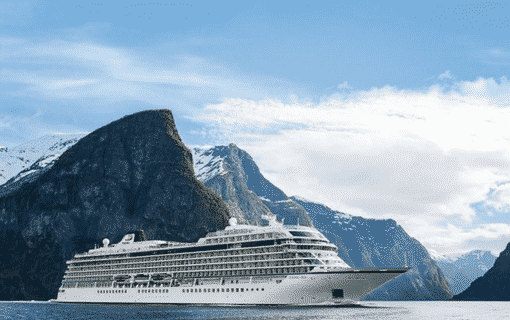 Or cross the Atlantic on an awe-inspiring mega cruiser? Whatever your cruise style, we’ll match you with the perfect ship and custom travel itinerary. Imagine: Waking up to majestic castles and quaint countryside rolling past your window, while on a luxury river cruise down one of the legendary rivers of Europe. 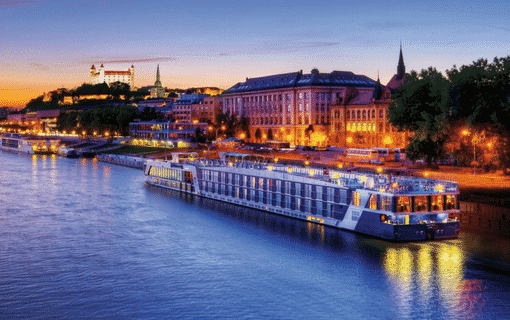 River cruising has exploded in the past few years, and now you can river cruise your way through practically every continent! But not all river cruise lines have the same standards — work with us to ensure you sail on a ship that oozes luxury and top-notch service. What sets our tailor-made itineraries apart from our competitors? 1. We focus on delivering exceptional value, so you get the most — the most amenities, fun, and memories — out of your luxury travel experience. 2. We’ll help you secure value-focused deals on luxury vacations by sharing our expertise around when to visit and when to book. Those details can make a big difference in the price of luxury travel packages. 3. Our 30 years of experience in the travel industry means we’ve built close relationships with top luxury travel suppliers around the world. Because of these relationships, our suppliers treat our clients exceptionally well. 4. You’ll work with a travel advisor who truly cares about your travel experience. We encourage you to reach out with questions during the planning process, and we’ll have your back as you travel as well. Because, when you work with Southern Travel Agency, you become family. Just click the form button at the bottom of this page or call us to share a few details — like your preferred location, budget, and tentative dates — with our team. Next, we’ll work together to start fleshing out the details. We schedule a complimentary consultation call so you can tell us all about your vacation dreams and the result you want to see. Or, we can work out details over email — it’s up to you! Ready to start planning the exceptional luxury escape you’ve always dreamed of?